Conquer your inner DJ with the DJ2GO2 anywhere, anytime! Dedicated to the art of DJing + passionate about your skill = Portable tools to show off your talent! Show off your DJ skills anywhere you go! 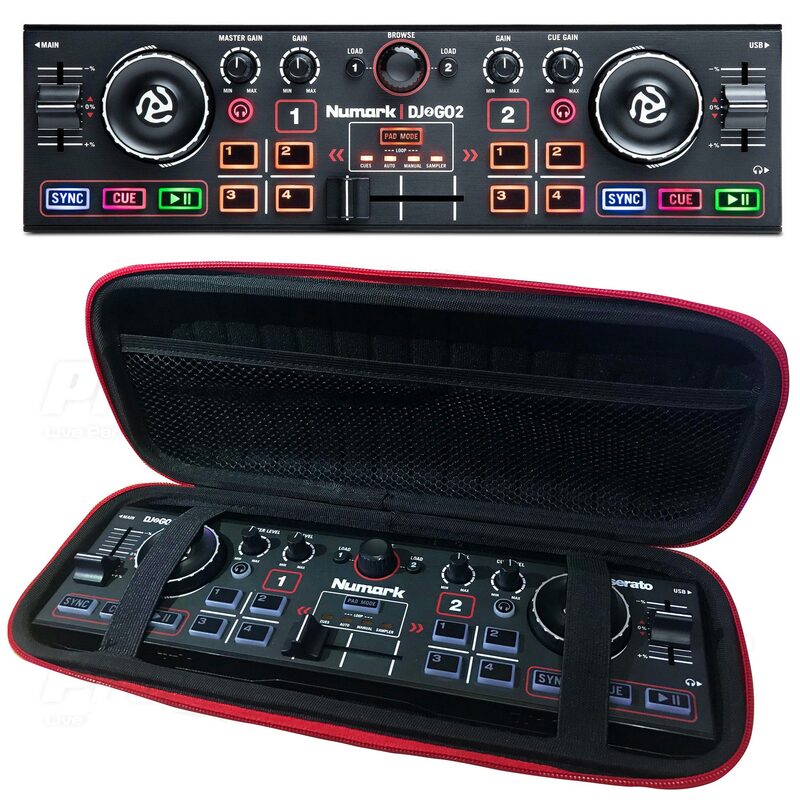 A built-in sound card with master gain, headphone output for cueing and channel gain knobs makes DJ2GO2 the ultimate portable pocket DJ controller. 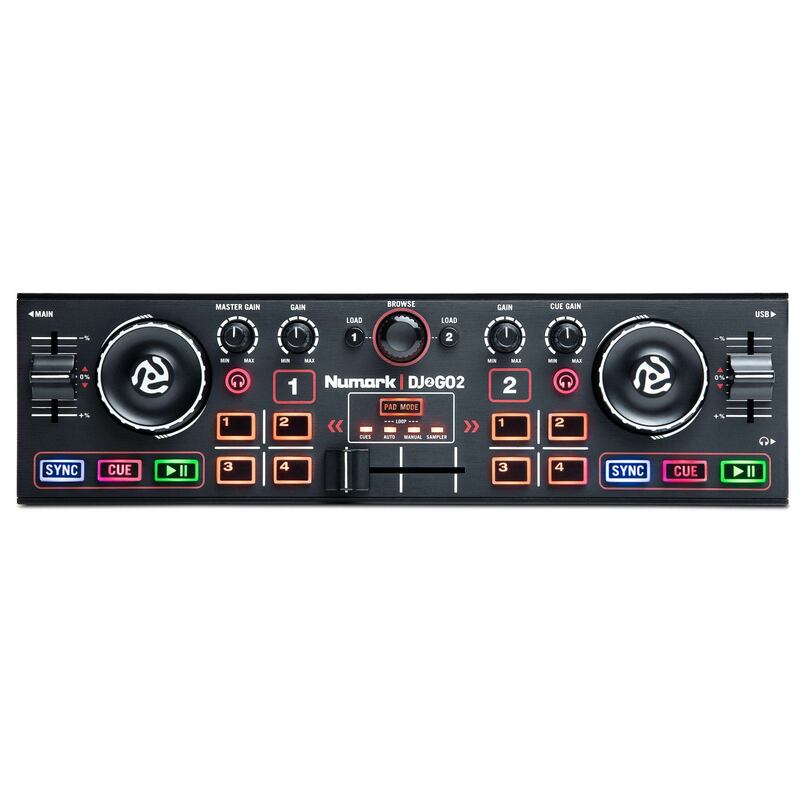 It has two channels with a crossfader and pitch faders for easy blending. Don’t let the small size fool you—pad modes give you access to performance controls typically found on larger controllers. The design and functionality of the DJ2GO2 makes it ideal for every type of DJ. Traveling DJs will enjoy having the critical elements on the go to practice, prep, and adjust their set. Mobile DJs can use it as a back-up or for a small gig with a minimal setup. All the controls are at your fingertips: simply plug in your headphones and connect your speaker through the master output. Already a Serato user? DJ2Go 2 comes premapped with Serato DJ intro included and is upgrade-ready to the full version of Serato. Play your blends, mixes and transitions on the fly. Control with quick access to your cues, auto/manual loop, and sampler. You can also map the DJ2Go 2 with other popular DJ software. 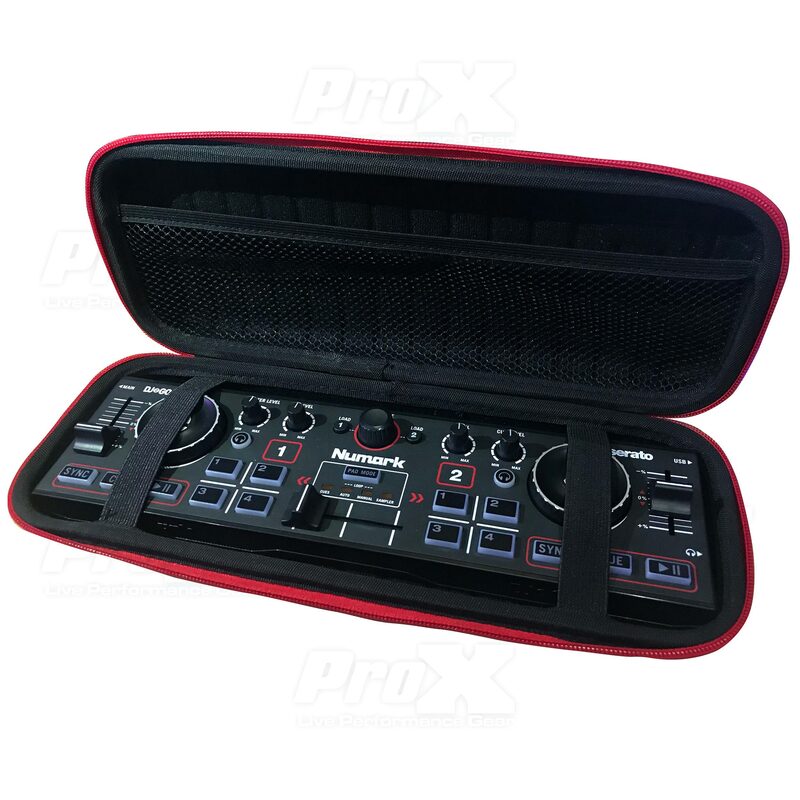 The ProX XB-DJ2GO2 ZeroG™ Case is specifically made for the DJ2GO Numark Pocket Controller. The ZeroG™ series is a great product falling between a traditional hard ATA style case and a soft padded bag. The DJ2GO2 is a portable, pocket-sized DJ controller that goes with you everywhere. This compact controller is so popular with mobile DJs as a backup unit or just used for small events. Either way, the ProX XB-DJ2GO is for you! This ProX Ultra Lightweight Molded Hard-Shell Case/Bag with a hard-shell reinforced molded EVA exterior, lined with a high density foam padded interior and a tough zipper is the perfect compliment to your gear when you want a strong, ultra-lightweight, good looking case for your equipment. This unit is not your typical soft bag, it is a hybrid product combining the light weight and utility of a bag with the additional protection and durability afforded by the hard shell exterior and high density interior foam. The ZeroG™ products are ideal when you need to transport your controllers and the use of a traditional wood and steel road case is not practical. It is great for carry on to aircraft, or for easy transport by Club DJs that travel from venue to venue. For your controller that needs protection, a thermoformed ZeroG™ ProX EVA Hard-Shell Case is an ideal solution. Due to it’s durability and rigidity, EVA units offer a great alternative to hard plastic cases and road cases, without sacrificing protective properties. Our proprietary lamination process creates better adhesion of cover materials to the formed foam interior. Ethylene-Vinyl Acetate is an incredible copolymer that serves multiple application purposes. Originally known for it’s use in shoes, EVA material is sometimes referred to as foam rubber. However, our thermoforming process allows us to utilize this material to create “hard-shell” bags that are softer to the touch than cases, and won’t crack like plastics and have substantially less weight than traditional road cases. This means our customers get the protection and durability needed to protect their gear while also having a branded, aesthetically great looking way to transport their controllers.